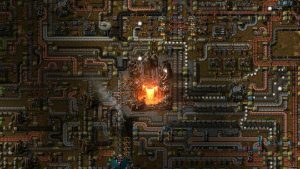 Factorio is a game about open-ended automation, harrowing exploration, in-depth production trees, and thorough logistics, wrapped with a layer reminiscent of tower defense. It’s a game that will lead to you seeing conveyor-belt spaghetti when you close your eyes and hunting down bottlenecks in production and supply for hours. 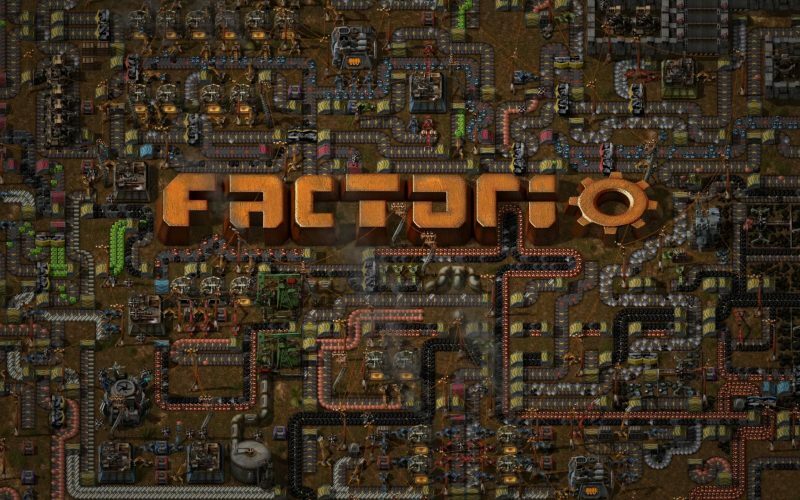 In development out of Prague, Czech Republic since 2012, Factorio is currently in early access and can be had for a very reasonable price on Steam. Even though it is in early access, the game does have quite a polished look and feel to it. The development team is small (currently stands at 18) but pushes out updates at a relatively decent and steady pace. Bugs are few and far between and are typically patched quickly although I did not experience a single bug. Every factory creates pollution which makes the aliens more aggressive. 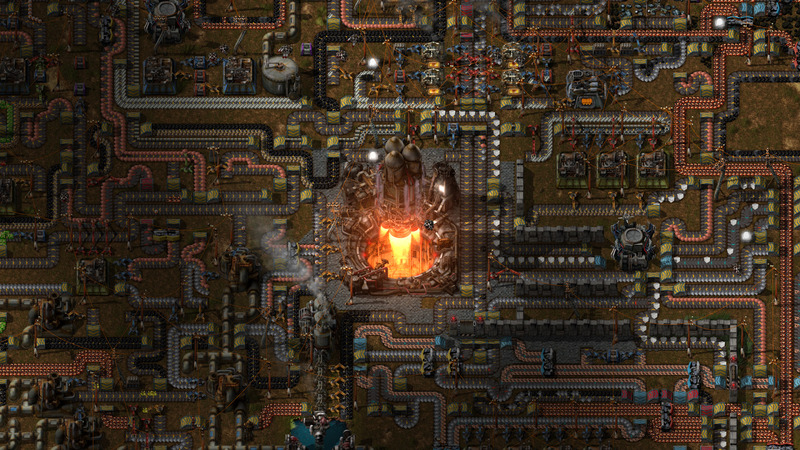 In Factorio, the players find themselves as the sole survivor of a crashed space craft on a primitive and hostile alien world. With nothing but bare hands and the advanced knowledge of factory construction, the player must build an automated factory to craft and launch a satellite into space to send out a call for help before the hordes of alien bugs overrun the factory. At first you will find that all you have to build with are natural resources. You can craft things with natural resources. Then you can use those things you craft to produce more goods, components, machines, tools, and weapons with even more natural resources. The need to collect natural resources is a never-ending, never declining requirement. Launching a rocket is your primary goal! The recipes to create items become more and more involved with each unlock. Item A might only require resource 1, but item G requires items C, B, and F, which requires items A, B, D, and I, which require resources 1 through 12. You need to produce items A, B, D, and I in various types of factory machinery which all require electricity and various resource inputs. That may sound complicated and it is but the game does introduce the ever-more-complicated production components and items in a manner that doesn’t make for a terribly steep learning curve. The recipe and production system is fairly intuitive, although I used the official Factorio wiki for added concrete in learning – mostly when I wasn’t playing the game! (Concrete is an item you can and must build, too!) Although expect to reinvent your factory layout a few times! Your alien opponents will try hard to destroy your factory! Defend it at all costs! The hostile aliens present an interesting challenge as they don’t like pollution and your factory will inevitably create pollution. Pollution makes the aliens attack. 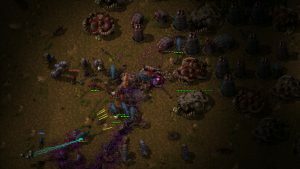 Killing the aliens makes them angry and they attack some more. Pollution and killing the aliens also makes them evolve and build their nests which makes them stronger and attack more often in greater numbers. With this, the player must also worry about automated defenses, which adds an entire path of production that must be accounted for: How to build turrets and other defensive items, how to keep them repaired, and how to keep them supplied with bullets, electricity, and/or flammable liquids! The graphics in the game are simple yet satisfying. Don’t expect any digital eyelash rendering here! Sounds are basic on an individual level but as your factory grows in size, composition, and activity it will be like music to your ears. The controls are also very simple. WASD, plus a few other keys, and plenty of mouse movement and clicking are what make up the requirements to play. You’ll spend a lot of time managing inventory which is handled in a pleasant, quick, and efficient manner. You can build a railroad, too! The replayability is huge – I have racked up a heavy helping of hours fairly quickly and the hours go by at a lightning pace. 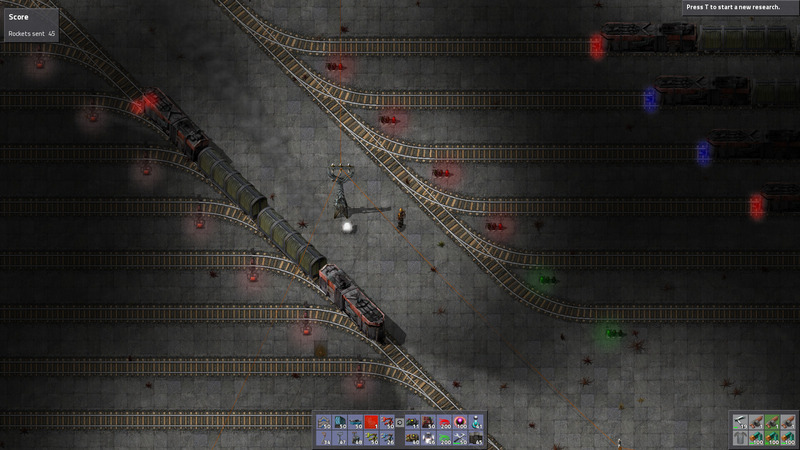 Factorio is one of those games where you tell yourself, “Just one more factory section and I’ll go to bed”, and next thing you know it’s 4 AM and you have to be up for work in 3 hours! Even after launching your probe into space there are many different challenges that can be chased down, such as only use bullets for defense, or build a factory capable of producing X amount of items in an hour, as well as challenging yourself to make a better factory. 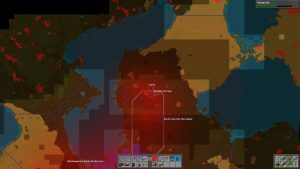 Since the map is procedurally generated each time with a plethora of options to alter seeding parameters, you’ll never get the same map twice and there are plenty of ways to generate a map with unique challenges. No two save games are quite the same. Multiplayer is possible and is primarily intended to be a PvE situation, although PvP is possible. You’ll find your group as the survivors of the crashed space craft, all working together to build a factory to escape the clutches of the hostile planet you found yourself on. You’ll find out who of your friends has OCD and who doesn’t mind clutter very quickly as your joint factory becomes more and more complicated as you progress through the game. 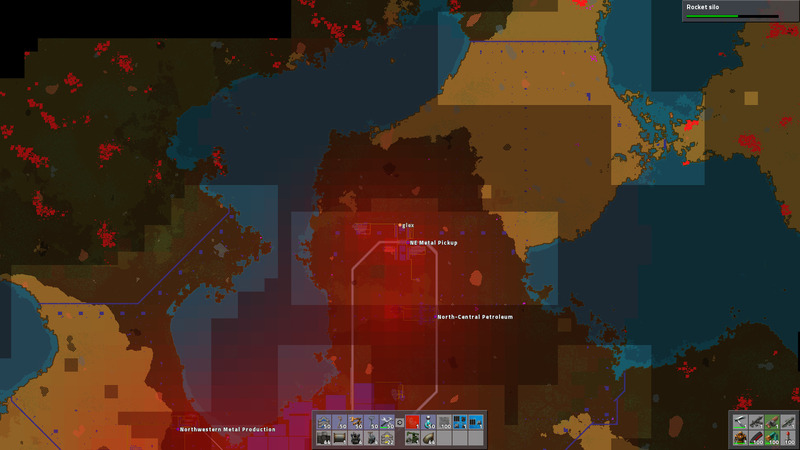 Overall, if you are looking for a decent time sink that is intellectually stimulating, I’d highly recommend Factorio. I have thoroughly enjoyed playing the game and will keep it installed for the next several years.